That we’re all somehow failing to do our part is a convenient narrative to the small minority of people who are actually responsible for fueling this crisis. New York Magazine’s latest 7,000-word cover story about climate change freaked a lot of people out. Like the reality of climate change itself, the story is depressing. Author David Wallace-Wells—collating several academic papers and interviews with climate scientists—meticulously lays out the possibility of melting ice caps releasing literal plagues, our air becoming unbreathable and geopolitics devolving into endless war. Less discussed in the aftershock of New York Magazine story has been exactly what kind of response fear provokes, whether in individual people or the institutions they belong to. Like almost everything else, our reactions to fear—climate-based or otherwise—have been conditioned by 40-plus years of neoliberalism. Shortly after September 11, 2001, George W. Bush advised a reeling U.S. public to “get down to Disney World.” As the recession loomed, he told us to keep shopping. That proposed solutions to the climate crisis have taken a similar tone isn’t surprising. For years, mainstream climate activism centered around changing lightbulbs and riding more bikes. Shop green, in other words, and the earth will follow. That’s started to shift, thanks to movements like Occupy Wall Street and hard-fought battles by indigenous activists, joined by a younger and more militant generation of environmentalists. Pushes to stop the Keystone XL and Dakota Access pipelines, and to divest from the banks that finance them and the companies that build them, have injected environmentalism with an anti-corporate spirit, predicated on collective action. But a mainstream gravitation toward individual solutions remains. After the New York Magazine piece was published, a battery of articles—some new, some old—started cropping up on social media feeds detailing things you can do about the climate crisis. Many of the new stories talked up a recently-released Environmental Research Letters study about the four “most effective things” individuals can do about climate change: stop eating meat, avoid air travel, don’t have a car and—at the top of the list—have fewer children, or none at all. If you’re not rich, Roberts concludes, the best thing you can do for the planet is get together with other people and try and change policy and elect people to office who aren’t in bed with the fossil fuel industry, among other things. Thinking about lifestyle choices really only makes sense, then, if you add an understanding of class politics into the mix. To really get this, it’s important to state just how skewed responsibility for the climate crisis—like most other societal crises—really is. A Carbon Majors Report recently found that just 100 companies have been responsible for some 71 percent of global emissions since 1988. 71 percent. This stands at odds with the story we normally hear about climate change. Warming is a civilization-wide problem, we’re told, and the result of a public obsession with consumption: a collective failure. The remedies floated to this failure are individual, whether recycling more or driving and procreating less. A globalized version of this tale—that’s gained currency among many on the green left—envisions a massive scale-down in our collective production and consumption called “de-growth,” whereby the sacrifice is shared but so too are the gains of a more sustainable ecosystem: austerity for the common good. As the Carbon Majors Report underscores, though, we arrived at the place we are now thanks to the actions of a small and incredibly wealthy substratum of the population and their control over the economy’s modes of production, which define how we live and work and consume. Many people worldwide and in our own country simply don’t consume enough for their lifestyle choices to matter. As climate scientist Kevin Anderson puts it, “By the time the poor have sufficient income to use lots of energy, the transition to a low-carbon energy system will need to have been completed.” That we’re all somehow failing to do our part is a convenient narrative to the small minority of people who are actually responsible for fueling this crisis. Climate change is already hitting the people who’ve contributed least to it, and whose living standards and levels of consumption should increase rather than decrease. As Lukacs also points out, the powers at be—and the four-decade ideological project that put them there—won’t make this task easy. Collective action is going to have to do a lot of work over the next several years. One obvious challenge is getting people to respond to the threat of climate change together, in numbers large enough to make the problem unavoidable for the federal government. That in itself is a plenty steep task considering the party line of the ruling elite is straight-up denial. The one thing the Democratic and Republican establishments seem to agree on is the need to keep budgets small and government intervention to a minimum. On the other hand, it is vital to ensure that the way states respond to this crisis doesn’t leave the people already most vulnerable to it worse-off. Global North governments don’t have a terribly good track record of responding to crises from the perspective of human rights and general wellbeing. Whether in creating crises or capitalizing on them, governments’ responses to fear leave a lot to be desired. As Bush was telling fear-stricken Americans to go out and shop the pain away post-September 11, members of his administration were also engineering the ‘war on terror’ and one of the most aggressive scale-backs of civil liberties since the Red Scare. Hurricane Katrina cleared the way for massive displacement and a wholesale privatization of the city’s school system, but not before the Department of Homeland Security and Louisiana governor authorized Blackwater to shoot and imprison New Orleans residents at will. A post-storm culture of impunity combined with heavy police and military presence, as well as armed vigilantes, turned many parts of the majority-black city into a death trap for African Americans. A white man named Paul Gleeson was caught on tape bragging to New Orleans police about having shot thirty-eight people he suspected of being looters, telling the officers that he had given the bodies to the Coast Guard. As was the case after September 11 and Katrina, the people worst-hit by these kinds of natural disasters are most harmed by government failures in the aftermath. This dynamic disproportionately impacts people of color and the working class. What’s to make us think that an openly xenophobic Trump government will yield results that are any different? Ginning up a fear-based politics in the context of an ascendant far-right is a recipe for an entirely different kind of disaster. On top of a starker social climate, Aldana Cohen notes that seemingly quick-fix, technological solutions (spraying Snowpiercer-style chemicals into the sky, for instance) become all the more likely the closer we get to 4 degrees. In short, we need to do much more than cap emissions to make sure the next century is marked by anything other than increasingly cruel and militarized borders and cities. Dealing humanely with the kind of warming already locked-in and avoiding warming even worse than that will mean a wholesale transformation of a political economy that includes everything from fossil fuels’ dominance to mass incarceration. Where movements can make inroads on some of these fronts, it’s hard to upend neoliberalism’s dominance without taking state power. There’s no one-size-fits-all answer for how to get it, of course. 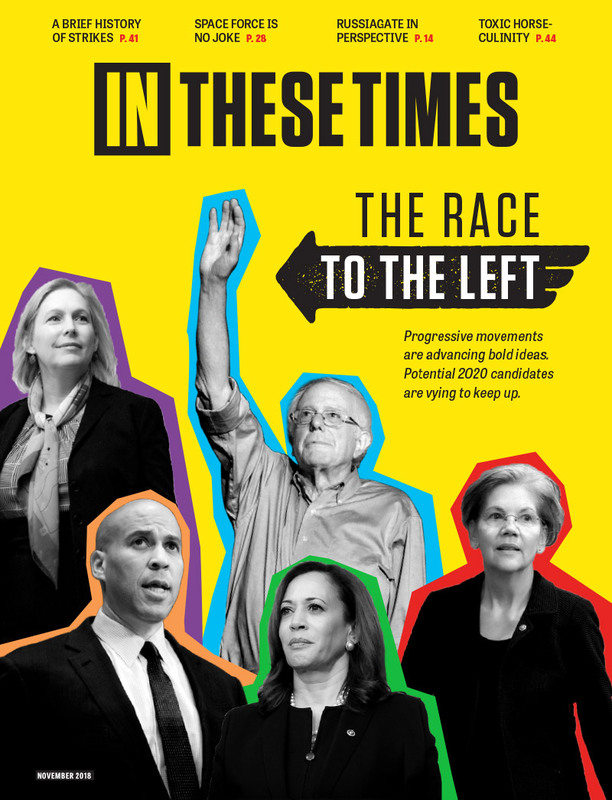 But the physics on climate change mean that many of the require a multi-racial, low-carbon, populist platform aimed at providing jobs and basic economic security for all Americans. The Labour Party’s surprisingly popular manifesto in the United Kingdom—the one that brought them within striking distance of controlling Parliament—contained calls to bring energy utilities under public ownership and ban fracking. Contra the austerity politics of Republicans and greens alike, a counterpart here could propose a program for full employment or redistributing funds from polluters to the communities they’ve poisoned or even nationalizing electric utilities. The lives of one percenters may get worse as we scale back emissions, but the 99 percent’s can get a lot better. Framing climate change in terms of fear—as Wallace-Wells’s piece does, unfortunately—means waging the fight against it on the right’s terms, ones that will likely come up perilously short given the scale of transformation required. The Left can win by presenting a vision for a fairer world. And it might well be the best shot humanity’s got. Daniel, I work some of the time in communications and understand that people take most of their information from the visual representation if available. That's why television advertising was so successful, and now display advertising or social posts seek arresting mages to convey meaning. To use a geothermal plant producing renewable electricity with the output being steam is entirely at odds with what the picture purports to represent. It may not make much difference to you, but if you think about it, how much of the article is trustworthy? So I generously advised the mistake they had made. I had go and take another look but yeah, I'm from New Zealand mate and we know when we see a geothermal power station. Being in Iceland is another huge clue. However the Headline implies pollution whereas that's just steam - not that good because of the trapped heat and moisture, I guess - but not carboniferous smoke from a coal-fired plant with the CO2 it contains. But, fair call, I'd written "caption" when I meant "Headline". Meh. I promise not to do it again OK? Only Republicans call the Democratic Party the "Democrat Party." You won't bother to read an article because of an error in a photo caption and yet you'll take the time to write a comment? The word "voluntarily" seriously misrepresents the range of choices most folks have. I agree that the problem is energy consumption, not energy supply per se. But wholesale blaming of consumers without acknowledging the context within which they make their choices doesn't move us any closer to a solution. None of this is going to make any difference unless the root cause is addressed. And that is the inordinate and largely secret influence Wall Street has over the Democrat party. This is so widespread that the government has no say in economic policy making. There is a small army of Wall street types that occupy the highest levels of positions in Treasury, the SEC. Commerce,,FCC, FDA etc and untold number in regulatory agencies. This is why there is so much income and wealth inequality and nothing being done about it. Weak, at best, climate policy and on and on. In short, the neoliberal agenda that is killing the Democrat Party and the Nation. These selfish people that occupy these critical jobs need to be purged before any progress can be made on any of the nation's pressing problems. It’s not an either-or. One of the most effective forms of resistance (and ways to bring capitalism down) is through our consumption choices. And, not just consumption, but choices in how we make a living, i.e. meet our basic needs for food, shelter, safety (peace), and community(solidarity), etc. Whether we meet our basic needs by working as a wage slave and buying things or working cooperatively to meet those needs independently of the corporate-commodity culture. In our capitalist society, freedom can well be defined as our ability to meet our basic needs without buying them. For those born into the privilege of the middle class it’s what sociologists call VDM, voluntarily downwardly mobile, i.e. in my day they were called hippies. Rather than having a career as an agent for the main-stream, corporate system, it’s about participating in the alternative-economy and counter culture. Politically, it’s exercising your fundamental human right to self-governance - direct democracy - rather than depending on your elected representatives, aka corporate lackeys, bankster shills and oligarchic stooges to rule for and over you - representative shamocracy! cheap oil = human extinction. Geothermal or not, the stuff coming from the chimneys looks more like condensed steam than smoke. The picture quality is not good enough to be sure. I didn't read the article because the lie in the caption of the photo. It's not smoke, it's steam from a geothermal power plant. How many other lies will your writing contain? Huge shame, as I think the rehash of the Guardian article is really pertinent. I agree with the general thrust of this article, but there is a problem with the citation to the Carbon Majors report. You write that "just 100 companies have been responsible for some 71 percent of global emissions since 1988." This is misleading. You leave out the word "industrial." The Carbon Majors report actually states that "[a]ll 100 producers account for 71% of global industrial GHG [Green House Gas] emissions." The report accounts for total INDUSTRIAL emissions and does not account for the aggregate contributions of GHG made by consumers when they drive cars and the like. Energy companies are not major emitters of CO2. Their customers who voluntarily decide to buy and use their products are the major emitters of CO2. Why would we be surprised that 71 companies have produced most of the fossil fuels that we all have consumed? It's highly misleading to suggest that these companies are 'responsible ' for carbon emissions. They couldn't produce one ton if there wasn't demand for their product. 4 companies are responsible for 25% of emissions, the Chinese, Russians, Iranians and Saudis. ExxonMobil is fifth. So what is the author suggesting happen in these countries to decarbonize? I haven't a clue from reading the article. So yes the rich consume more than the rest of us, but the earth doesn't give a damn who burns fossil fuels. We need to completely decarbonize in a decade or so to possibly avoid functional extinction by the end of the century. And so everyone - rich or poor - will need to decarbonize. We don't have time to wait for some revolutionary action to solve all of society's ills while decarbonizing. You’re absolutely right that the Democratic Party, same as the Republican Party, is prepared to exploit any and all environmental crises for their own gain. However, you mischaracterize what the author presents as an alternative. She never argues for “cutting back on emissions and banning fracking”—that would be the solution proposed by the “austerity for the common good”-‘greens.’ Rather, she remarks positively on the Labour Party’s proposal to “bring energy utilities under public ownership and ban fracking” and suggests “full employment or redistributing funds from polluters to the communities they’ve poisoned” which is a totally different story. Public ownership of energy utilities, full employment, and reparations for communities impacted by environmental injustice together open up the possibility of allowing the working class to climb out of the ditch that neoliberal austerity has been trying to drown us in for the past 40 years. Rather than be priced into homelessness by the capitalist market’s artificial scarcity, the poor will actually be able to afford energy for the first time in a “Green New Deal” situation that guarantees us all jobs as builders of the now-publicly-owned post-fossil-fuel energy system. But further, the author argues: “Dealing humanely with the kind of warming already locked-in and avoiding warming even worse than that will mean a wholesale transformation of a political economy that includes everything from fossil fuels’ dominance to mass incarceration. Where movements can make inroads on some of these fronts, it’s hard to upend neoliberalism’s dominance without taking state power.” The point that this article drives home really well is that the underlying driver of the ecological crisis is capitalist society’s horrendous inequality, and the ones directly and indirectly to blame for the crisis are the ultra-consumptive 1% (especially the 0.01%), their polluting corporations, and their oil-thirsty governments. 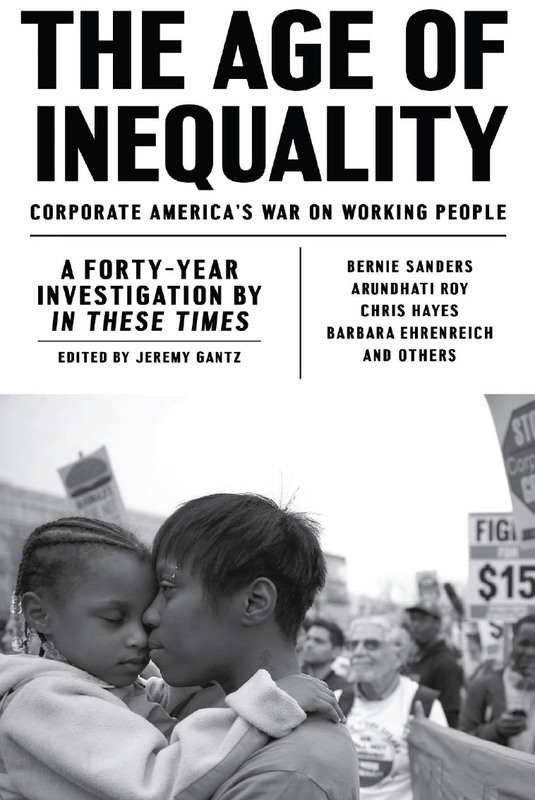 The author argues that working-class movements must confront the 1%, take away their ability to consume as much as they please, take away their ability to use governments to divide us via class wars, race wars, imperialist wars, etc., and retake public ownership of utilities and services that have been ruthlessly privatized over the past 40 years. In my blunter language, the only real solution to the ecological crisis is for the working class to—rather than be passive recipients of “government handouts”—take control of the state, dismantle it, and redesign society in our own interests. The only real solution is to abolish the 1% (viz. abolish inequality), abolish their corporations, and abolish their governments—to overcome capitalism and replace it with an entirely different political economy, a society owned and run by workers rather than the bosses. Great article, but strange choice for a photo - I think Iceland power plants are geothermal! "The lives of one percenters may get worse as we scale back emissions, but the 99 percent’s can get a lot better". Au contraire, mon ami. Cutting back on emissions and banning fracking will make energy prices soar, enough to impoverish a pretty high percentage of the middle class, and to drive virtually all the poor into homelessness. But to Democrats, that's a feature, not a bug. They'll subsidize energy costs for tens of millions of Americans, who will become totally dependent on the government to live, and thus will vote for Democrats forever. That's all that counts, right?